Congratulations Rite Aid! The Settlement Agreement posted here sets forth the company’s commitment to provide talking prescription labels to its pharmacy customers across the country who cannot read standard print. Rite Aid will offer talking labels at its close to 4,600 retail pharmacies in the United States. The agreement is the result of a Structured Negotiation between Rite Aid and the American Council of the Blind, the California Council of the Blind, and several blind Rite Aid customers. No lawsuit was necessary. The Law Office of Lainey Feingold and Linda Dardarian, of the Oakland, California civil rights firm Goldstein, Borgen, Dardarian & Ho, represented the claimants in the negotiation. Questions about the Rite Aid initiative can be directed to Rite Aid through its customer service number at 1-800-748-3243 or to Rite Aid’s disability coordinator at (717) 975-5878. The Law Office of Lainey Feingold can be reached through the Contact page of this website. This Settlement Agreement (the “Agreement”) is entered into as of the Effective Date by and between the following parties: on the one hand, American Council of the Blind (“ACB”), California Council of the Blind (“CCB”), and Rite Aid customers Eugene Lozano, Ken Metz, Jeff Thom, Leslie Thom, Robert Wendt, and Joanne Gingrich as successor in interest to decedent Ralph Gingrich (collectively, the “Claimants”); and on the other hand, Rite Aid Corporation (“Rite Aid”). Claimants and Rite Aid are collectively referred to as the “Parties.” This Agreement operates in conjunction with its Confidential Addendum also executed by the Parties as of the same date. ACB is a non-profit organization that provides advocacy services in the United States on behalf of individuals who are blind or have visual impairments. ACB is incorporated in Washington, D.C., and has its place of business in Arlington, Virginia. CCB is the ACB affiliate serving the needs of blind and visually-impaired persons throughout the State of California. CCB is incorporated and has its place of business in the State of California. Ralph Gingrich, Eugene Lozano, Ken Metz, Jeff Thom, Leslie Thom, and Robert Wendt (“Individual Claimants”) are blind or visually impaired persons who have received prescription medications from Rite Aid. Rite Aid, through various subsidiaries, owns and operates a national retail pharmacy chain, with stores in California and other states across the United States. The Parties have had a series of discussions regarding concerns raised by the Claimants about the accessibility for persons with visual impairments to prescription information that Rite Aid provides when it dispenses prescription medications. As a result of those discussions, the Parties have agreed to enter into this Agreement and its Confidential Addendum. By entering into this Agreement, Rite Aid does not make any admission of noncompliance or liability to the Claimants or any other person or entity under any law with respect to information Rite Aid provides when dispensing prescription medications. Rite Aid denies that its current practices in connection with prescription medication information are not in compliance with any applicable law. In the negotiations and drafting of this Agreement, Linda M. Dardarian of Goldstein, Borgen, Dardarian & Ho and Lainey Feingold of The Law Office of Lainey Feingold (collectively, “Claimants’ Counsel”) represented Claimants, and Jeffrey D. Wohl and Chase W. Ensign of Paul Hastings LLP represented Rite Aid. This Agreement will become effective on February 1, 2016 (the “Effective Date”), and will remain in effect until June 30, 2016. Large Print means Large Print information and formatting as further defined in section 4 of this Agreement. Patient Information Sheet means a sheet or sheets of paper that are attached to, or included with a Prescription Container when the Prescription Container is provided to a Rite Aid customer, and which contain detailed instructions and warnings with respect to Prescription Medications. Prescription Container means the bottle, vial, box, tube, or other vessel in which Rite Aid provides the prescription medication(s) to Rite Aid customers. 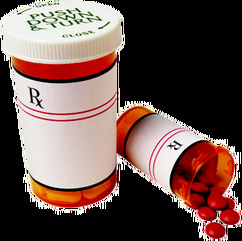 For example, a pill bottle containing prescribed pills, and a box containing a prescribed inhaler, are Prescription Containers. Prescription Label means the label containing the name of the patient, the name of the prescribed medication, and other information that is printed out by Rite Aid pharmacy personnel and affixed to the Prescription Container. Prescription Medication means medication that is sold in Rite Aid Stores and may be obtained or purchased by Rite Aid customers only when prescribed by a medical professional. Prescription Warning Label means additional information beyond what is contained on the Prescription Label regarding the safe use of Prescription Medications, and is affixed by Rite Aid pharmacy personnel to the Prescription Container. RFID Chip means a radio-frequency identification chip that adheres to the bottom of the Prescription Container and contains recorded prescription information which can be read aloud when the RFID Chip is placed over a ScripTalk Station. An RFID Chip can record approximately three minutes of information. Rite Aid Pharmacy Customers with Visual Impairments means Persons with Visual Impairments who obtain at least one Prescription Medication from a Rite Aid Store. Rite Aid Specialty Pharmacy means a Rite Aid Store containing a pharmacy that offers services specifically for complex health conditions. ScripTalk Station means the device manufactured by En-Vision America that can read and play back the recorded information contained on an RFID Chip. (b) the device will attach to the Prescription Container to which it pertains. 3. Rite Aid’s Responsibilities with Respect to the Talking Prescription Device and ScripTalk Station and RFID Chips. 3.1. Provision of Talking Prescription Device. No later than October 31, 2015, and continuing throughout the term of the Agreement, Rite Aid will provide the Talking Prescription Device free of charge with each new Prescription Medication and each Prescription Medication refill purchased at a Rite Aid Store upon request from a Rite Aid Pharmacy Customer with a Visual Impairment who has a valid Rite Aid prescription and certifies that he or she is a Person with a Visual Impairment as set forth in section 3.6. Rite Aid will use best efforts to record the following information on the Talking Prescription Device: (a) Prescription Warning Label information, and (b) prescribing doctor phone number. When providing Talking Prescription Devices to Rite Aid Customers with Visual Impairments, Rite Aid will include batteries to ensure functionality of the Device. When Rite Aid dispenses Prescription Medications with the Talking Prescription Device to any Rite Aid Customer with a Visual Impairment, Rite Aid pharmacy personnel will offer to demonstrate operation of the Talking Prescription Device to the customer. The demonstration will include an opportunity for the customer to listen to the recording on the Talking Prescription Device before leaving the store and confirm that he or she can hear and understand the recording. Upon request of the customer, Rite Aid personnel will re-record the message on the Talking Prescription Device if the original message is not audible, intelligible, or complete. Demonstrations will occur in a quiet and confidential location to ensure that other Rite Aid customers cannot hear the recorded information. Rite Aid may request that any Rite Aid Pharmacy Customer with a Visual Impairment agree to the following statement before Rite Aid dispenses the Customer’s Prescription Medications with a Talking Prescription Device: “I certify that I am a person who is blind or visually impaired within the meaning of the Americans with Disabilities Act.” Persons with Visual Impairments picking up Prescription Medications with a Talking Prescription Device in a Rite Aid Store for the first time will be asked to sign a document on which the certification in this section has been printed. Rite Aid personnel will offer to, and upon customer consent will, read the entire contents of the document to the customer prior to asking for the customer’s signature on the certification form. Persons with Visual Impairments will only have to provide a certification once. Rite Aid will distribute the Talking Prescription Device with an extra adhesive and recommend to customers that the adhesive may need to be changed before the medication is finished. 3.8. Rite Aid’s Responsibilities with Respect to RFID Chips and ScripTalk Station. If the Talking Prescription Device is not effective for a Pharmacy Customer with a Visual Impairment, Rite Aid will provide the customer with prescription medications with an RFID Chip free of charge through a Rite Aid Specialty Pharmacy. When the Rite Aid Specialty Pharmacy sends the prescription medication with the RFID Chip to the customer’s designated store, either the designated Rite Aid Store or the Rite Aid Specialty Pharmacy will notify the customer that the prescription medication has been sent, and when it will be available for pick up. Rite Aid will also order a ScripTalk Station from En-Vision America, the supplier of the device. En-Vision America will ship the device directly to the Rite Aid Pharmacy Customer’s home address free of charge. 4. Rite Aid’s Responsibilities with Respect to Large Print Patient Information Sheets. (i) appropriate use of white space. 4.2. Large Print Prescription Information Sheets will be stapled appropriately. All stapled documents will allow sufficient space on the left margin so as not to restrict reading. Large Print Patient Information Sheets will include all of the information that is contained in the standard print version of the Patient Information. Upon request from a Rite Aid Customer with Visual Impairment, Rite Aid will provide a Large Print Patient Information Sheet for the prescribed medication. 5. Feedback from Rite Aid Customers with Visual Impairments. In preparation for the meeting described in section 8, Rite Aid will document customer feedback shared through the Rite Aid toll-free customer service number (1-800-748-3243) or provided to Rite Aid Store pharmacy staff regarding the Talking Prescription Device and ScripTalk Station. Without disclosing any personal or private information, during the meeting described in section 8, Rite Aid will report on, and the Parties will discuss, the feedback received. 6. Fulfilling Requests for Talking Prescription Devices. 6.1. Processing Requests from Rite Aid Pharmacy Customers with Visual Impairments. (b) an in-person request at the store pharmacy. Rite Aid will deliver Talking Prescription Devices at the same time that the Prescription Medication is provided to the Rite Aid Pharmacy Customers with Visual Impairments, and within the same time period that the Prescription Medication would have been provided to the customer if he or she had not requested the Talking Prescription Device. Once a Rite Aid Pharmacy Customer with a Visual Impairment makes a request for a Talking Prescription Label, Rite Aid will provide all subsequent Prescription Medications and refills for that Customer with the Talking Prescription Label unless otherwise specified by the Customer. 7. Training of Rite Aid Personnel. (f) procedures for ordering the RFID Chips and the ScripTalk Stations. Rite Aid has provided Claimants with the training materials designed to ensure the effective implementation of this Agreement. Rite Aid reserves the right to change, replace, or modify the training materials referenced above as business needs require, and any such change, replacement, or modification will not constitute a breach of this Agreement. For the duration of this Agreement, Rite Aid will provide Claimants with a draft of any significant changes in the content of the training materials and Claimants will provide any feedback within fifteen days of receipt of such draft. Prior to finalizing such training materials, Rite Aid will consider in good faith the feedback provided by Claimants but will not be in breach of the Agreement if Rite Aid does not incorporate the feedback. 8. Meetings with Claimant Representatives. Rite Aid and Claimant representatives and Counsel will meet by telephone at least once during the term of the Agreement to discuss any issues set forth in this section. (b) any other related issue that a Party would like to discuss. At least ten (10) business days prior to the meeting(s) pursuant to this section, Claimants and Rite Aid will submit to the other in writing a list of issues they would like to discuss at the meeting. Rite Aid will also provide Claimants with a summary of feedback it has received about the Talking Prescription Device. The summary will not include any confidential information regarding Rite Aid’s customers. The Parties will issue the joint press release attached hereto as Exhibit A to announce the availability of Talking Prescription Devices, RFID Chips and the ScripTalk Stations. 10. Rite Aid Contact for Customers. If the event that a customer has a question or concern about any of the matters set forth in this Agreement, Claimants may refer the customer to Rite Aid’s Section 504 Disability Coordinator, Michael Mack, at (717) 975-5878 or Mmack@riteaid.com. 11. Right to Seek Modification. Rite Aid may seek modification of its obligations set forth in this Agreement if it reasonably concludes in good faith that circumstances render compliance with its obligations impossible or impracticable. If Rite Aid wishes to modify this Agreement, it will provide to Claimants a written Notice of Modification, describing the factual basis for its conclusion that compliance with one or more of the provisions of this Agreement is impossible or impracticable. Claimants will meet and confer with Rite Aid within 30 days after their receipt of Rite Aid’s Notice of Modification. If the Parties have not reached agreement regarding the Notice within 30 days after beginning the meet and confer process, the matter will be resolved pursuant to section 12, below. Rite Aid will not be in breach of any term of this Agreement if it fails to comply with one or more of the provisions of this Agreement after providing to Claimants a Notice of Modification pursuant to this section. the Party or Parties alleging breach, or Rite Aid in seeking the modification, or any Party engaged in the dispute, will provide written notice of its position to the other Party or Parties. Such Notice will include the following information:(d) in the event of a claimed breach, the section or term of the Agreement claimed to be breached;(e) in the event of a proposed modification, the section or term of the Agreement proposed to be modified; and(f) the grounds for claiming a breach or proposing a modification, including a brief statement of the specific facts, circumstances, and legal arguments supporting the Parties’ position.12.2.Within two weeks of the date of the Notice provided for in section 12.1. above, the Parties will engage in a meet-and-confer process to resolve the matter.12.3.If the matter remains unresolved after a reasonable meet-and-confer period, the Parties will resort to mediation before a mutually agreed-upon mediator to resolve the matter.12.4.If mediation fails to resolve the matter, the Parties then will settle the matter finally by means of arbitration conducted by Judicial Arbitration & Mediation Services (“JAMS”) pursuant to its Streamlined Arbitration Rules and Procedures. The Arbitration will take place in San Francisco, California. The arbitrator may award the prevailing party its reasonable attorneys’ fees, expenses, expert witness fees, and other costs pursuant to applicable law. The award of the arbitrator will be enforceable in a court of competent jurisdiction. This Agreement (with its Confidential Addendum) will bind and inure to the benefit of the Parties and all of their heirs, executors, administrators, successors, assigns, and legal representatives, as well as all other persons in privity with them. Notwithstanding any privilege applicable to settlement proceedings, this Agreement (with its Confidential Addendum) may be introduced into evidence to prove the terms of the Parties’ settlement agreement. 15. No Use of Agreement as Admission. This Agreement will not be used by Claimants to establish any claim of legal noncompliance or liability against Rite Aid. This Agreement will not be admissible for any purpose in any proceeding except to enforce the terms of this Agreement. 16. Notice or Communication to Parties. This Agreement (with its Confidential Addendum) sets forth the Parties’ entire agreement regarding its subject matter and supersedes all prior and contemporaneous agreements, understandings, and representations. This Agreement may not be modified except by a writing signed by all Parties affected by the modification. This Agreement is made, and will be construed, under the laws of the State of California. All Parties and their respective counsel will sign one original copy of this document. An electronic copy is sufficient as an original, and this document may be executed in counterparts. This is the settlement between Rite Aid and the American Council of the Blind. Rite Aid has agreed to offer talking prescription labels to customers in the United States at all of its stores. This agreement was reached in Structured Negotiation. No lawsuit was needed. Rite Aid worked with blind pharmacy customers on this new program. It will help customers who cannot read standard print take medication safely and confidentially. Return to Settlement Agreement.